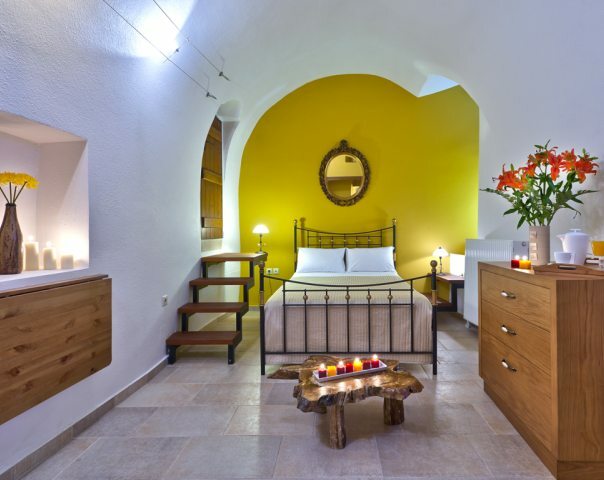 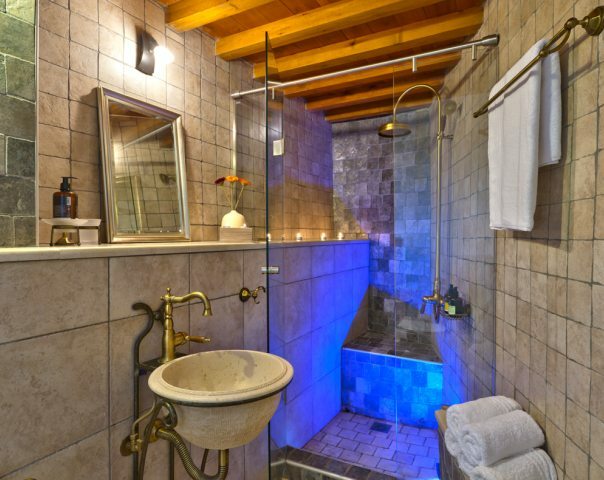 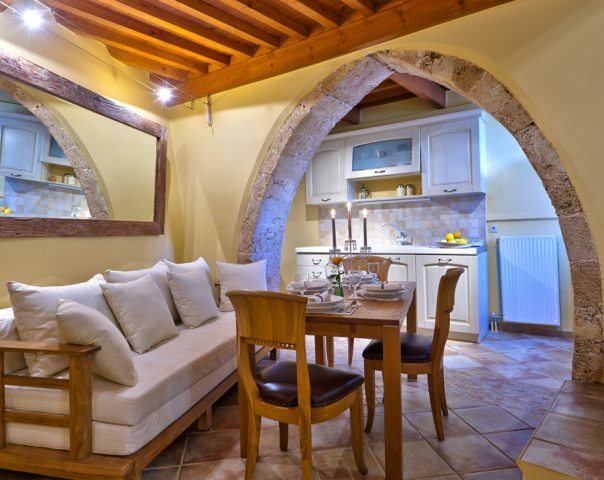 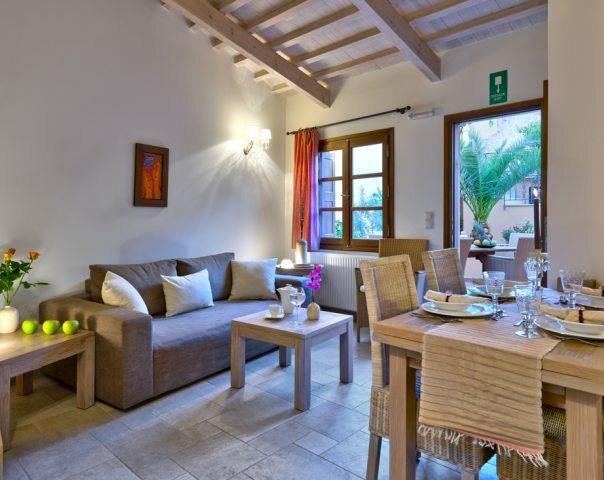 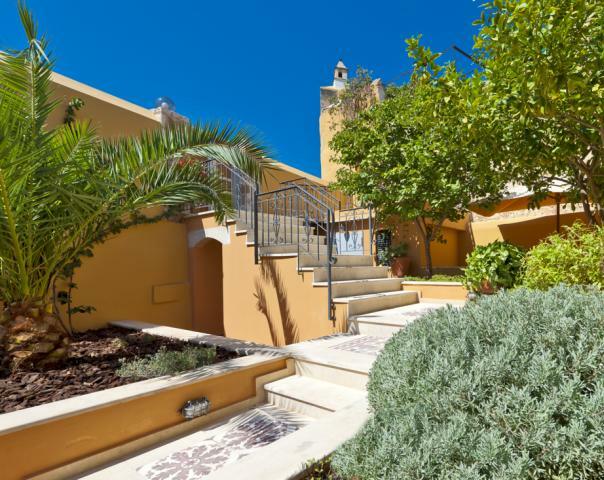 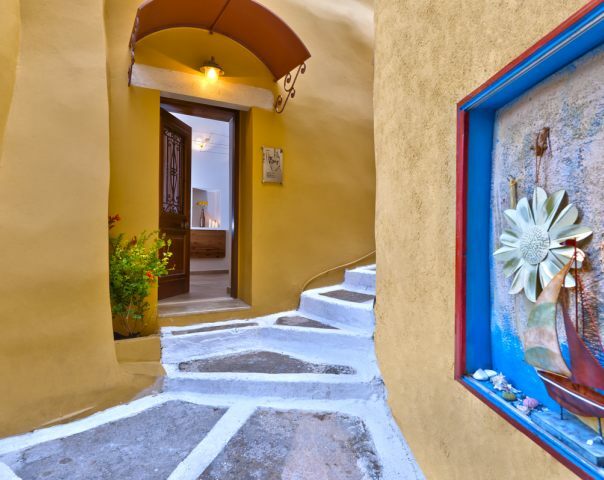 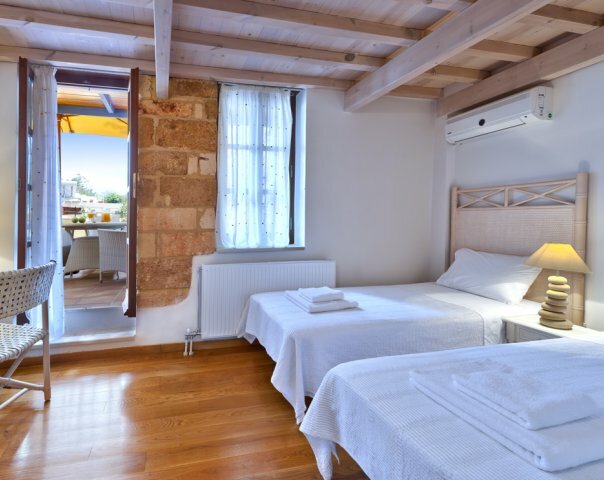 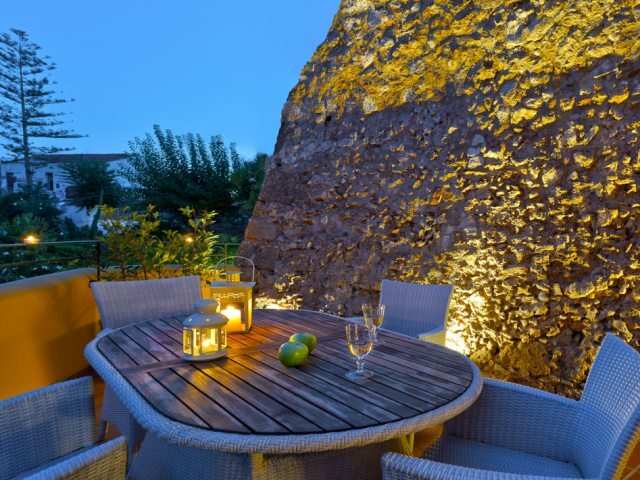 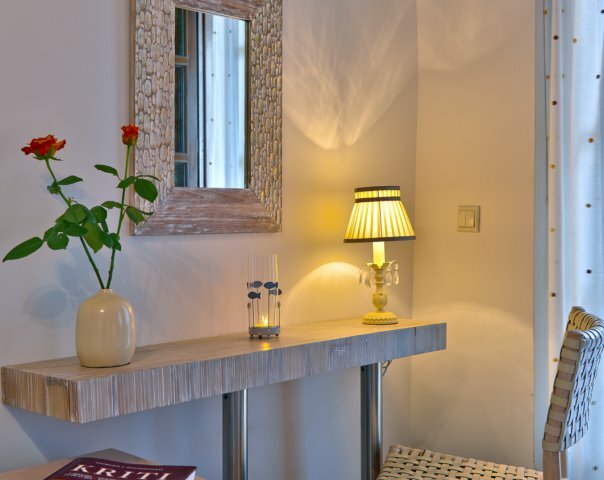 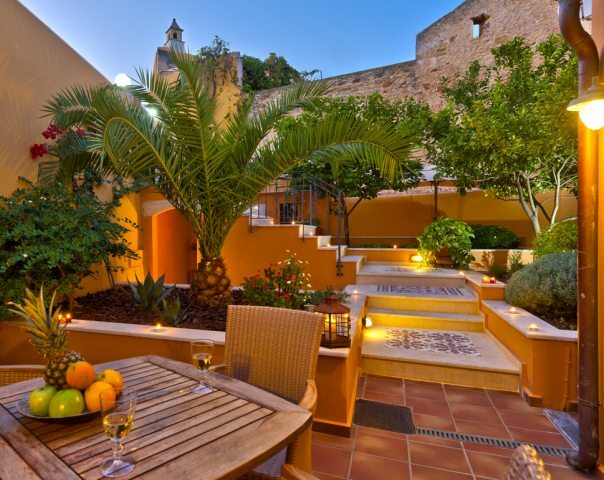 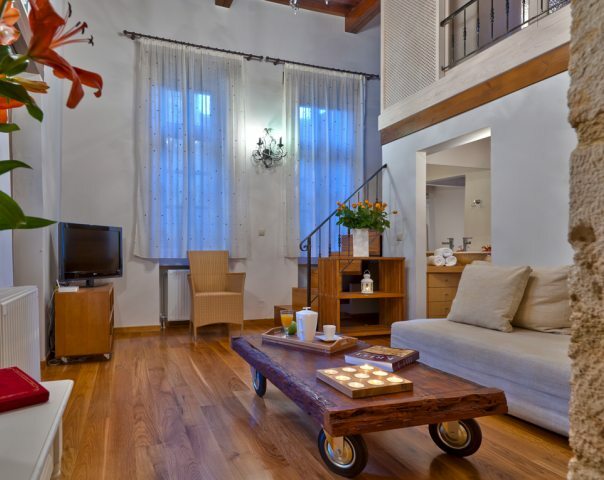 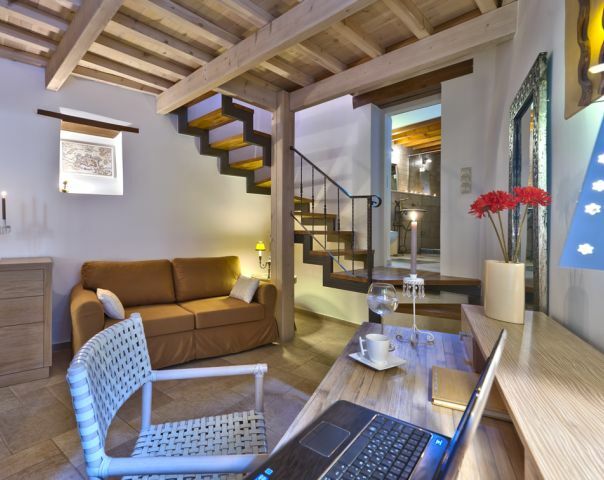 The KORES boutique houses are an independent, self-catering lodging of two furnished residences, situated on the western side of the old Venetian harbor of Chania. 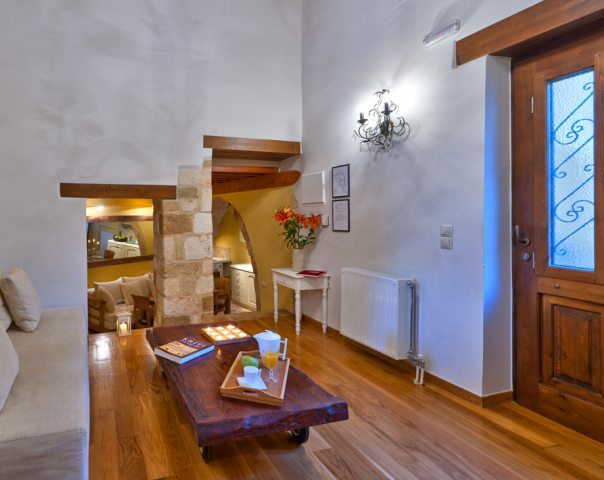 The KORES boutique houses in the Old Town of Chania are an independent, self-catering lodging of two furnished residences that have been specially developed in a completely renovated multi-storey medieval building, in the traditional district of Topanas, on the western side of the old Venetian harbor of Chania. 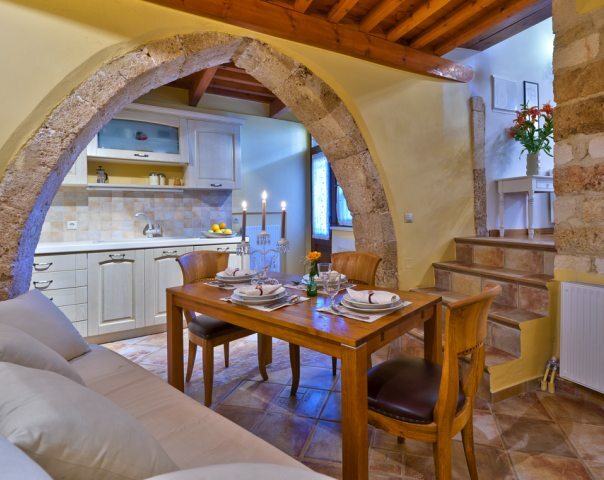 Both residences are enchanting houses with hospitable rooms in light and frugal lines. 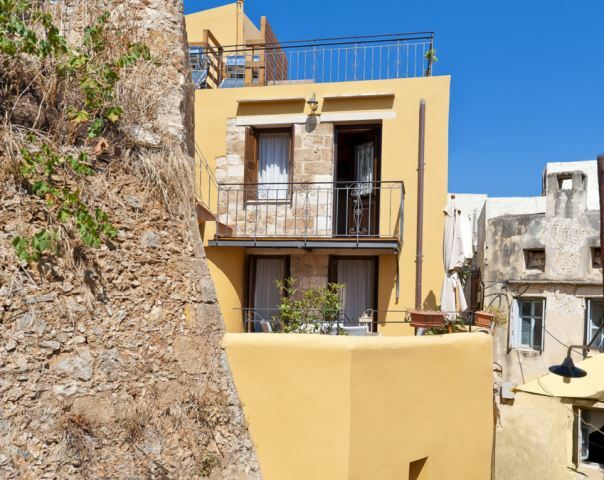 The harmony of spaces in levels, the arches, erratic walls, the galleries and Venetian walls that constitute a part of the house, create an astonishing cluster of medieval architecture in the two residences with the names Aspasia and Ekaterini. 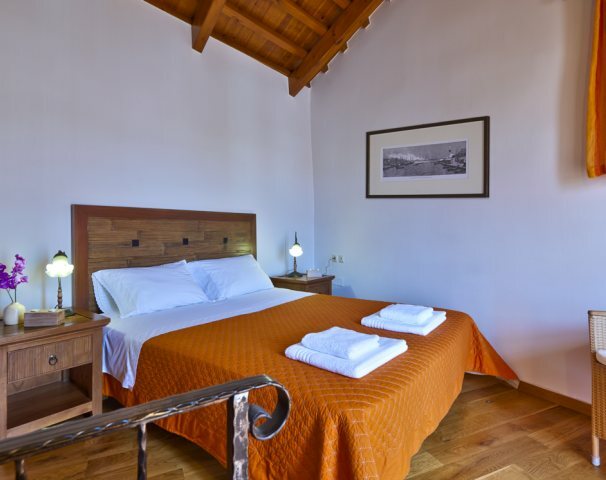 The ground floor with a double bedded bedroom and another with a couch – bed, and a bathroom with open shower. 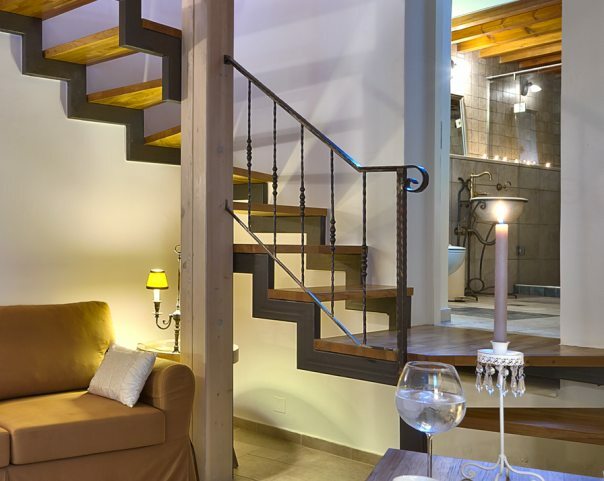 The first floor with the living room, the dining room and open-plan kitchen, two bathrooms with closed showers, a master bedroom in the loft and a bedroom with two single beds below. 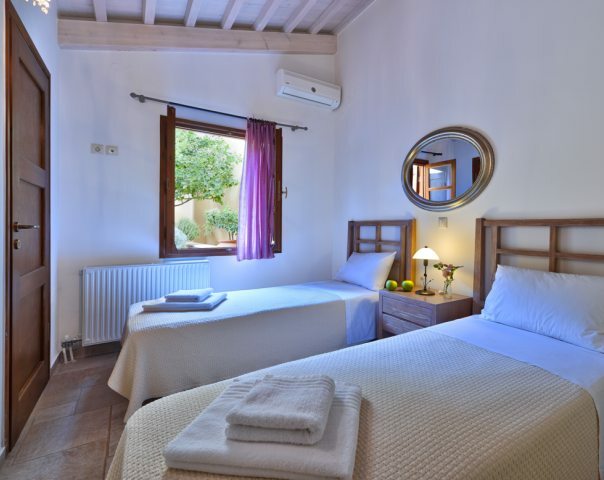 The second floor with the living room, dining room and open plan kitchen, a bedroom with two single beds, a den with the “Turkish” couch that can easily host a 5th individual in the residence if necessary and a bathroom with a closed shower. 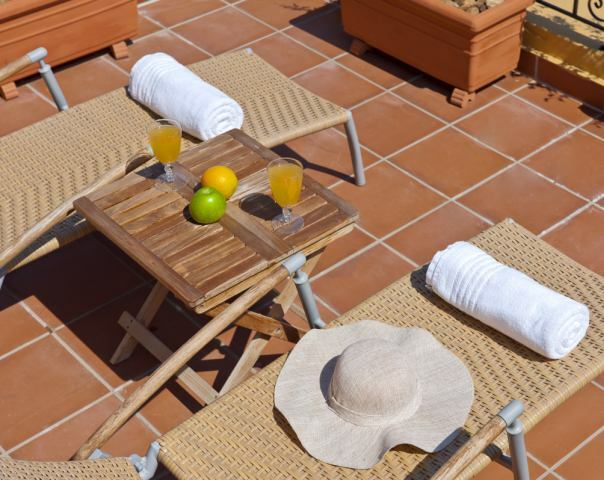 The rooms of the second floor have access to a garden with a dining table, six chairs and an umbrella offering ample shade. 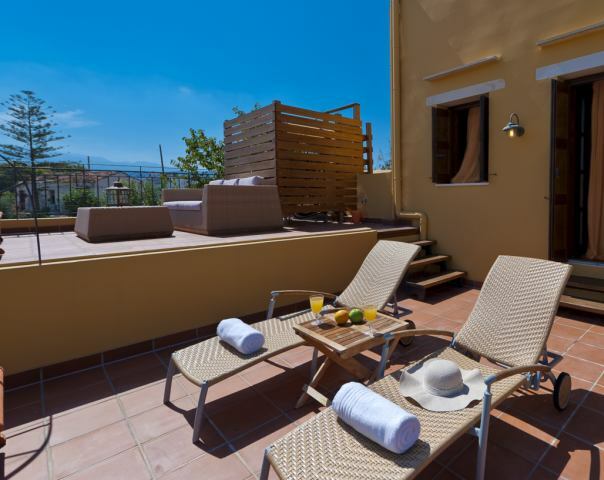 The third floor with a master bedroom and its private terrace with a couch, a patio table and sun beds give the opportunity to guests to enjoy relaxation in the sun and the unhindered views of traditional backstreets, roofs and lofts of buildings, and of the mountains in the south. 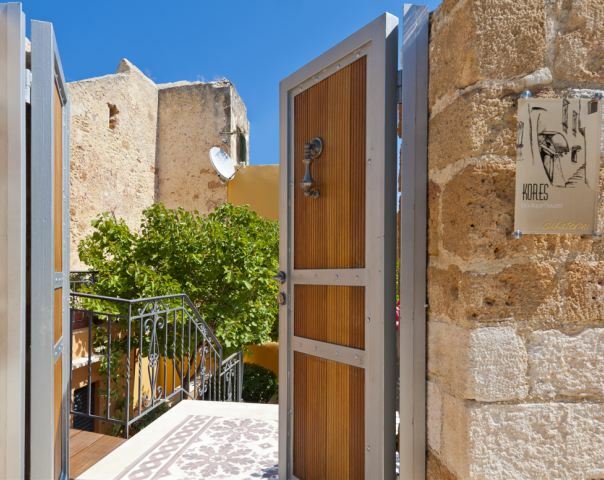 The cost of accommodation of the Kores boutique houses is differentiated according to the house, season, number of guests and duration of stay. 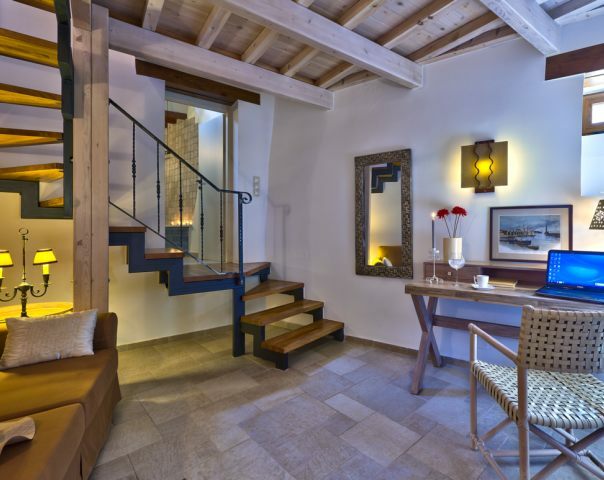 For more information, please contact us through the following reservation form. 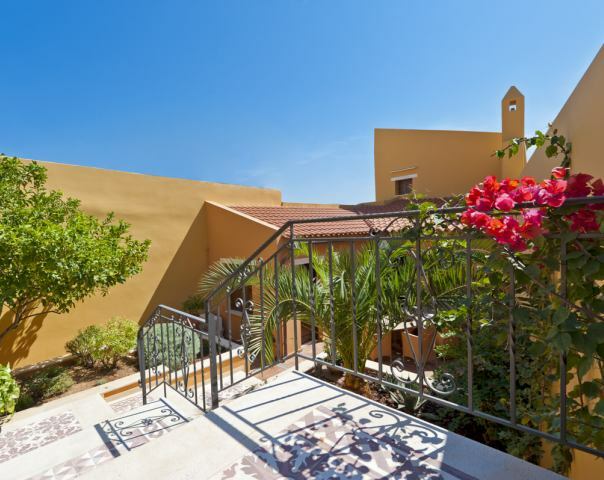 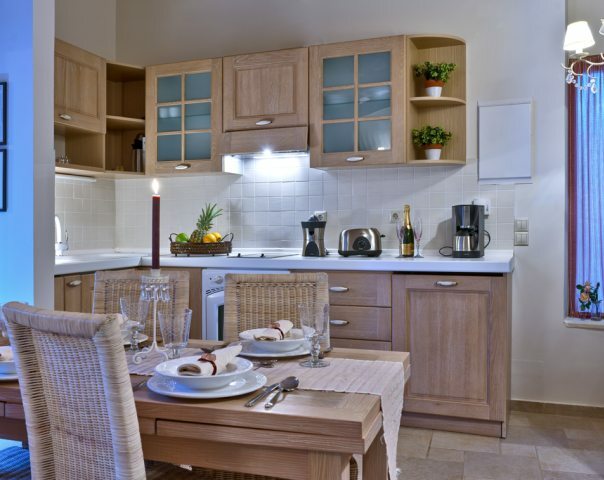 The villas are available all year round. 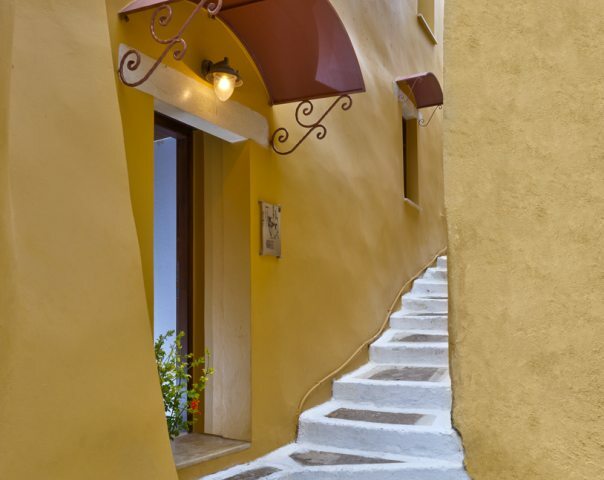 Free parking is available at the municipal parking Talos.